Taiwan has long been the hub of communications in the Western Pacific. It has, over the past five decades, grown into a strong and important entity in the global economics, owing to the government's devotion to the infrastructure of common education and industrial advancement. 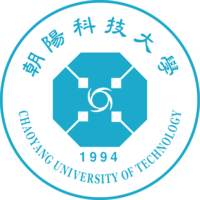 Chaoyang University of Technology is located in the central part of Taiwan. After into the foundation of Central Taiwan Science Park, Chaoyang University of Technology become the hub of not only cultures and technologies but also cutting-edge delicate machinery and biotechnology. The twenty-first century is an age of knowledge economics, which accentuates a balance of technology, management, innovation, and humanism. We have five colleges at Chaoyang University of Technology-College of Management, College of Science and Engineering, College of Design, College of Humanities and Social Sciences, and College of Information primary goals of which are to develop specialized human resources and to project research plans that conform to the needs of Taiwan in information technology , biotechnology, and R&D for higher value-added products. We are avant-garde both in promoting the competitive niche of Taiwan, and in pursuing academic excellence. Taiwan has been accepted a member of WTO. The joining of Taiwan into such an international trading organization brings about unavoidable liberation and globalization in not only the business itself but the economics as a whole. Such an impact increases a keen demand for skilled human resources in all professions. Besides basing itself in Taiwan, Chaoyang University of Technology seeks intensive overseas academic exchange and cooperation from areas around the world. We aim at close links by means of strategic alliance for the integration of local and foreign resources to cultivate our students to think globally, value teamwork, embrace life long learning, and serve mankind as a global villager.